When I first read that headline on Drudge, I figured that makes sense. 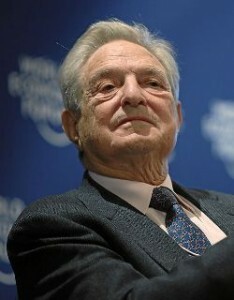 Convicted insider trader and international supervillain, George Soros, has had a number of setbacks lately, and if he’s going to have a fourth-quarter rally, he needs to think big. His recent plot to irradiate Fort Knox’s gold supply was a little far-fetched, and his backing of those silly Occupy hippies was a waste of money, but this seems like a good plan. If he can somehow disarm the American populace, the army of super intelligent apes he’s no doubt breeding on Spider Skull Island will finally be able to bring this great nation to its knees. There’s only one real problem with the story; it’s nonsense. It was published on www.infowars.com, and the site’s creator, Alex Jones, is so goddamned paranoid, he makes me seem sane. He’s the same guy who thinks there are so many gay people because the government is waging chemical warfare against the population to cut down on the number of children. The U.N. resolution in question specifically states it does not apply to constitutional protections of private firearms ownership, and countries maintain the sole right to regulate gun ownership within their borders. That seems pretty straight-forward, but Alex Jones will not be discouraged by things as trifling as facts. Maybe I’m being too hard on Alex. After all, we have a lot in common. As an alcoholic, I often share his inability to differentiate between fact and fantasy. For example, did I really shoot the tv in the basement last night when Robert Goulet came on, or did I dream that? At some point I’ll walk down there and find out.